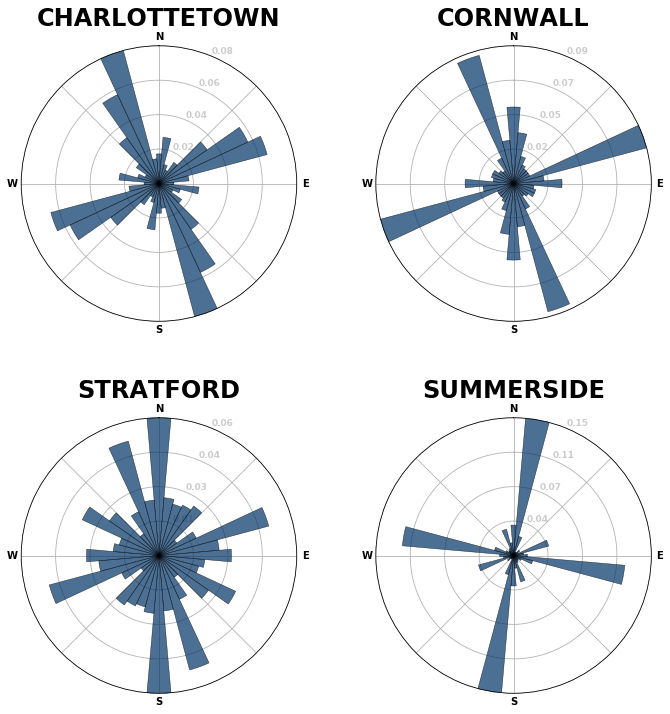 You have likely by now seen the buzz about Geoff Boeing’s work to visualize city street orientations. 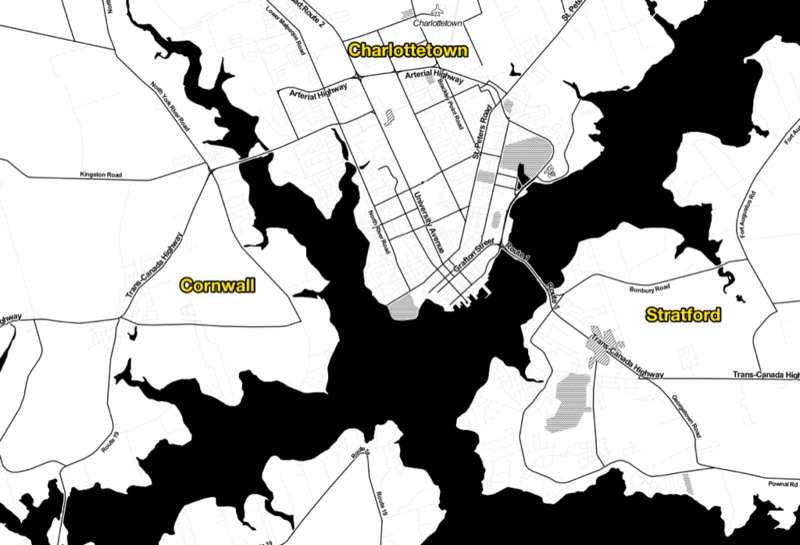 In other words, to generalize, Charlottetown and Cornwall follow what Boeing describes as an “angled, primarily orthogonal street grid,” rotated slightly west, with Cornwall including a significant north-south departure from this, and Charlottetown including a subset of streets tilted slightly east, reflecting the cohort of St. Peters Road-aligned streets on the east side of the city. 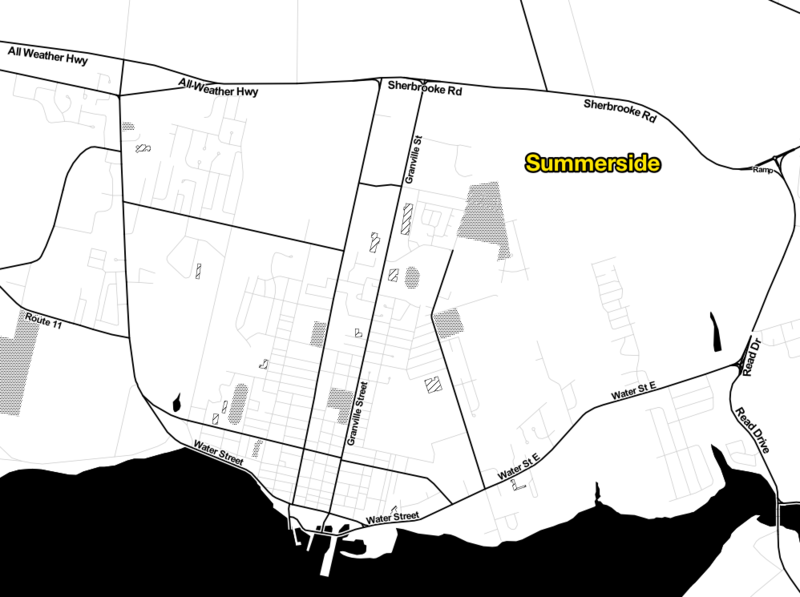 Summerside is even more religiously “angled, primarily orthogonal,” but rotated slightly east. Although it features a grid in some neighborhoods like the Back Bay and South Boston, these grids tend to not be aligned with one another, resulting in a mish-mash of competing orientations. Furthermore, these grids are not ubiquitous and Boston’s other streets wind in many directions. If you’re going north and then take a right turn, you might know that you are immediately heading east, but it’s hard to know where you’re eventually really heading in the long run. This makes it harder for unfamiliar visitors to navigate Boston than many other US cities. 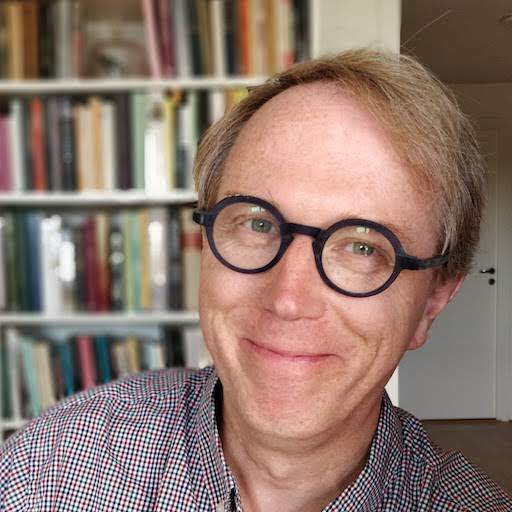 It does not adhere to a straightforward north-south-east-west pattern (or any other consistent, predictable pattern) that our brains adjust to in most places – not because Boston apocryphally paved over its cow paths, but because of its age, terrain, and annexation of various independent towns. The same thing could just as well be said about Stratford, compared to the Charlottetown and Summerside. Written July 25, 2018 at 6:08 p.m.